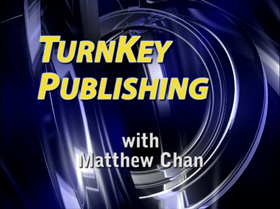 I am happy to announce that my newest book “TurnKey Publishing” has finally been released to printing. It has been a long journey getting this book out. It was delayed several times last year as I took time out to work in and manage my real estate investments. With the numerous and extended delays, the publishing industry continued to change and my publishing business evolved. The changes forced me to go back and revised the manuscript with the latest information. 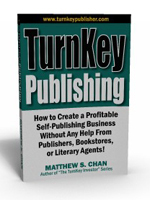 I expect that “TurnKey Publishing” will be available for sale within the next two weeks on Amazon.com as well as my own websites. There will be some special announcements as the book is made available for sale.